Our two section pontoon bridge is a great centre piece for the game table and offers great scenario options. Each section comes with a bridge piece with cross supports and track guides. The sections fix to a pontoon with nylon nuts and bolts and can therefore hinge. The ends also have a hinged ramp. 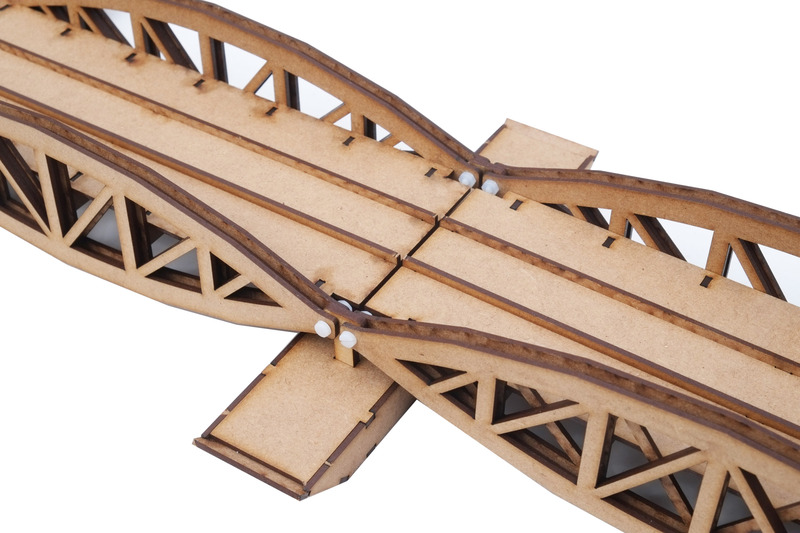 Bridge size - 650mm long x 95mm wide x 60mm high. Pontoon is 200mm long x 40mm wide. The kit requires assembly with PVA glue and needs to be painted to finish it off.